If anyone looks for a marvelous cruise trip in term of the cruise’s service, cabin facilities and above all, the truthful recommendations from the global travelers. 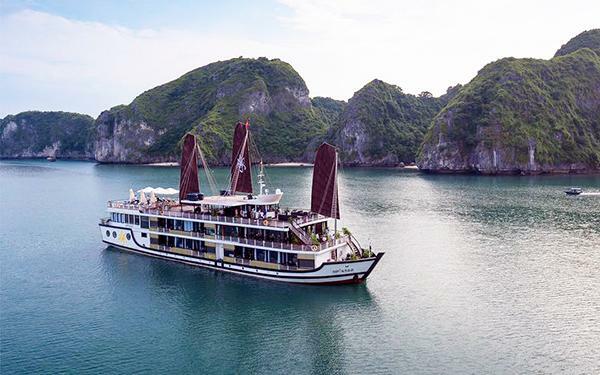 As compared to another cruise in Halong Bay, Orchid cruise is a brand new boat owning an amazing Bai Tu Long Bay, Halong Bay, and Lan Ha Bay discovery Itinerary. It’s also one of the most renowned and sought-after boats offering the perfect cruises at the affordable prices. 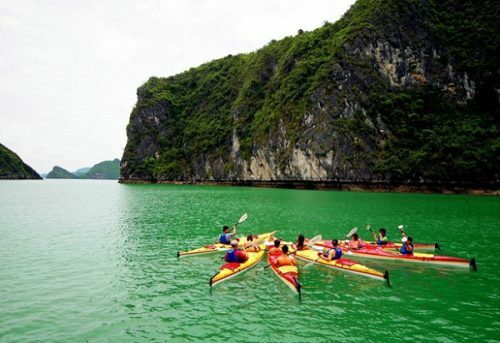 Spend the laid-back and interesting moments during the ocean trip, but don’t miss a view of the magnificent scenes around Halong Bay, Vietnam. 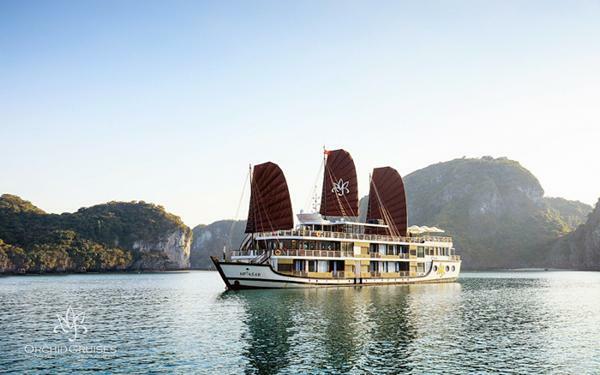 With a new look that was officially introduced in public in November last year, the Orchid Cruise is a perfect choice to make if you desire a good sightseeing of Halong Bay, one of Asia’s top 5 tropical paradises nominated by CNN and UNESCO. The beauty of the Orchid cruise in Halong Bay is depicted as wild as nature after being inspired by the modern and classic decoration. The cruise’s interiors in every vessel get amazingly refurbished with wooden panels and a great set of beddings and room accessories. Only one step onto the boat, you might go wild at its harmonic atmosphere due to the delicate blend of green and brown shades. For any couple who loves to organize a special moment together, don’t worry as the cruise in Halong Bay would save an exclusive suite for lovely birds. 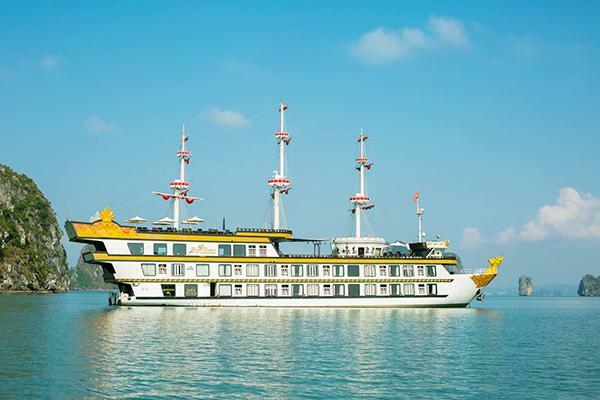 Do you look forwards to a completely wooden-hulled and steel cruise to perfect your adventure to the Southeast Asia? 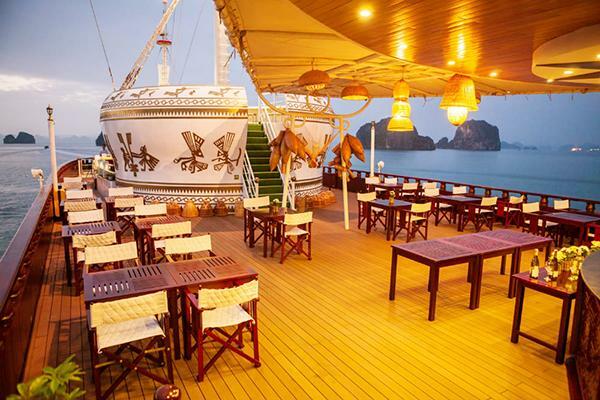 Find nowhere else but only here, on the Signature cruise in Halong Bay that is famous for its aesthetic makeover! Stepping inside the cruise’s cabin, an endless number of visitors claim it to be brilliantly designed to meet the maximum satisfaction and comfort zone. 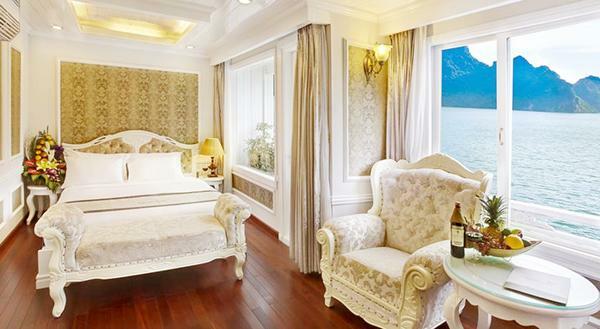 Not only owning a high-quality Jacuzzi bathtub and toilet, the cruise in Halong Bay is also praised for its unique interiors with the nice room size from 20m2 to 55m2. So you can enjoy the marvelous sea views while spending the most relaxing time in the special Jacuzzi bathtub. Be quick to plan a trip with 2 or more people for more fun, and to make your adventure more meaningful than ever! Sure enough, the crew pride themselves on offering you the best quality amenities of life and also the most exclusive cabin services. You will find it very pleasurable and relaxing at the same time. 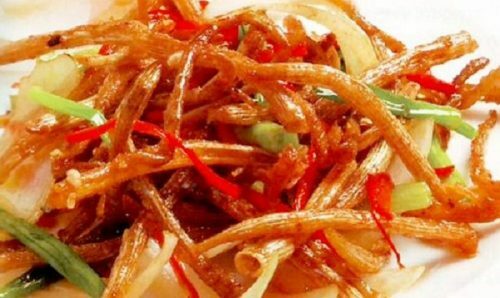 So don’t mind saving the awesome moments through the nicest spots nearby the Gulf of Tonkin, and on the cruise in Halong Bay, explore more of Lan Ha and Bai Tu Long Bay for the max fun. Do you desire a pleasurable night with a majestic view of the bay? Then hurry to be out of the crowd and busy life pace to get deep into the greatest nature. 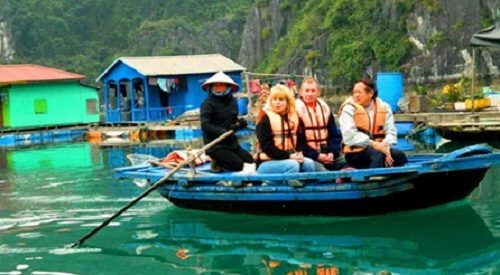 Then you might wonder which cruise in Halong Bay is the best choice to make. Choose Dragon Legend cruise for an unforgettable experience when being off the beaten track itinerary now! You won’t regret it and even want to make the second comeback. The Indochina Junk Company makes great efforts in providing their guests with the most exceptional cruise experience ever, through the high standard amenities, a comfortable open air dining, and a big ocean view windows at night. 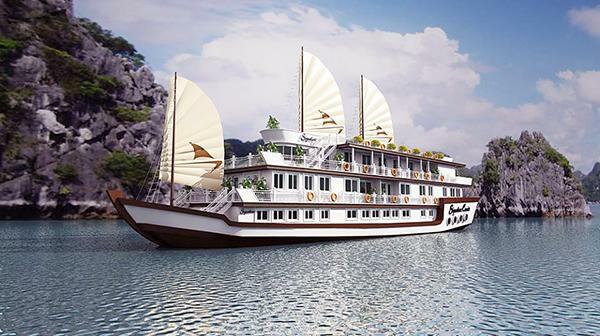 Beyond our expectation, each Dragon cruise in Halong Bay consists of 24 elegant and luxurious cabins, 4 spacious decks with sparkling restaurants both indoors and outdoors.